Natural Skincare: Is it Really Any Better for You and Your Skin? 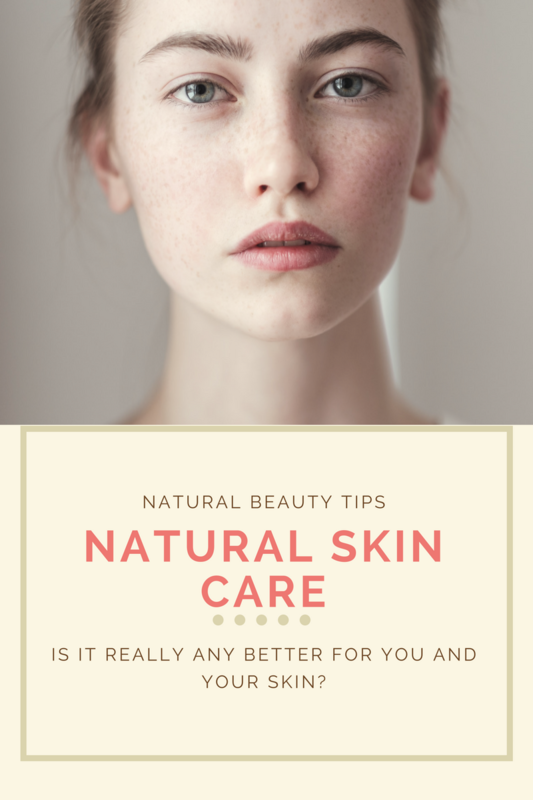 There are two ways to answer the question of whether natural skincare is any better for your health and your skin. The short answer and the long answer. If you’re reading this then you probably already know the short answer, YES they really are better for you, inside and out. They’re better for our environment and other inhabitants of our planet too. Maybe you’re reading this because you’ve recently become aware of some of the really nasty chemicals that are used in skincare products, despite mounting evidence of their dangers. Now you know better, you want to do better. There’s a run down on some of these chemicals lurking in your skin care further down. Or, you might just be doing some research to find the best natural skincare products available in Australia without any pushy sales people attempting to work their charm on you. At risk of sounding like a pushy salesperson – we pride ourselves on stocking the very best natural and organic skincare available in Australia and the world. After all, this is the very same skincare that we use on OUR skin and we are extremely picky. Make that EXTREMELY picky. 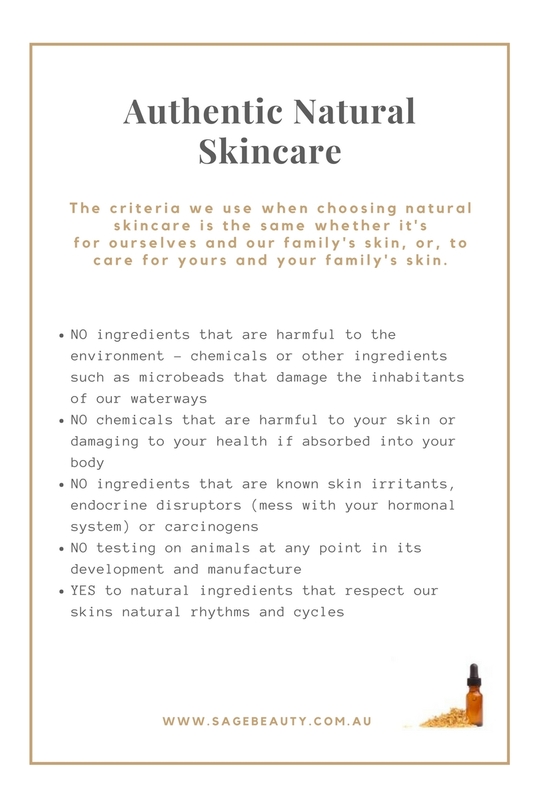 Our criteria for natural skincare below is what we use when choosing our own personal skincare and makeup products as well as what’s used when looking at stocking a new product. There are plenty of horrible toxic chemicals in most skincare but before we launch into discussing these, it’s really helpful to take a step sideways and have a brief look at your skin so you can understand why applying chemicals to your skin can have an impact upon your overall health and wellbeing, not just your skin. Your skin is a fully functioning organ, no different to your liver, heart, kidneys and brain. It serves to both protect you from and interact with the world outside of your body. One of your skin’s important roles as an organ is detoxification. It’s teeming with bacteria and micro-organisms that work in synergy with the immune system in your skin. Like the bacteria in your digestive tract they can be beneficial or inflammatory and damaging. Chemicals in products you use on your skin can alter balance of bugs on your skin. Much of what you put onto your skin is absorbed into your body (think of medical patches such as HRT and nicotine patches). Toxins and chemicals absorbed into your body from your skin can be less safe than eating them. If you eat something and it’s absorbed, it has to get past your liver first before it can cause damage in your body. There is no chemical processing plant and filter like your liver that helps to protect you from nasties absorbed into your body via your skin. You skin has its own cycles and rhythms. It heals, regenerates and detoxifies over night while you’re sleeping and using the wrong products can interfere with this process. Authentic natural skincare that understands and honours your skin is much more than just being free from nasty chemicals – although this is a great start! Parabens – Used to inhibit the growth of bacteria, fungus and other microbes and extend shelf life, it’s estimated that around 85% of skincare products contain parabens. Listed on your skincare ingredients as methyl paraben, ethyl paraben, propyl paraben, butyl paraben and isobutyl paraben. You’ve probably already noticed that some skincare products are now labelled as paraben free and there’s a good reason why. Parabens have the ability to weakly mimic oestrogen in your body and have been isolated from breast tumours and found concentrated in body tissues. Researchers are postulating that parabens may be one of the many chemicals contributing to the decline in sperm counts and marked increase in breast and testicular cancer. It’s important to note that these studies call for more research, there is no definitive proof, just an association. But are you prepared to wait the decades it will probably take for the research? Many large skincare companies still using chemicals such as parabens are staunch in their denial that they are safe but we think this smells a bit like the tobacco companies who declared that smoking was not harmful and even prevented cancer! It took decades for the truth to become mainstream and in age when inconvenient truths are fast being labelled as ‘fake news’ you might be waiting a looooonnnng time. Triclosan – An antibacterial and antifungal chemical found in toothpaste, antibacterial hand wash, acne products, deodorants and some moisturisers and lotions. It’s been well known for many years that triclosan is a weak endocrine disruptor, but industry’s catch cry has consistently been “the relevance of this to humans is uncertain”. When you consider that most of the chemicals used in skincare and personal care products have a degree of endocrine disrupting activity, this activity is going to add up. There is particular concern with triclosan and oestrogenic activity as well as impacts upon the thyroid gland. It’s also contributing to antibiotic resistance and the fact that it’s fat soluble means that it’s going to accumulate in the fatty tissues of your body and has even been found in umbilical cord blood! It’s damaging to waterways and their inhabitants and is accumulating in fish and crustaceans. Siloxanes – Based on silicone, siloxanes are ingredients that end in _siloxane and _methiocone and they’re widely used in skincare and makeup. Siloxanes are the ingredients behind ‘oil free’ makeup and moisturisers. They make skin feel and look smooth and velvety. Also widely used for industrial applications, the most widely used siloxanes are D4, D5 and D6. D4 and D5 are known to be toxic and persistent in the environment (they break down slowly and accumulate). They’re also nasty to aquatic life. The European Union classes D4 as an endocrine disruptor and possible reproductive toxin. In lab experiments D5 has been shown to damage the hormonal and immune system and interfere with neurotransmitters in the nervous system. Cyclomethicone, one of the more widely used siloxanes in skincare and makeup products is a combination of D4, D5 and D6. PEG – Propylene glycol products know as PEG are big players in skincare products. They’re used as thickeners, solvents, skin softeners and moisture carriers. PEG compounds are doubly problematic, they demonstrate their own issues and can also be frequently contaminated with ethylene oxide and 1,4-dioxane. Ethylene oxide is classified as a known human carcinogen by the International Agency for Research on Cancer and 1,4-dioxane a possible carcinogen. Vacuum stripping can remove ethylene oxide from the finished skincare products but you have no way of knowing whether this process has taken place. Problems associated directly with PEG products include irritation and systemic toxicity if used on broken skin, there is some evidence of genotoxicity and the fact that they enhance the absorption of other chemicals and ingredients – both good and bad – in your skincare products. These are just 5 of the many dubious chemicals used in skincare products – there are many, many more and no-one has done any studies on the combined effect of all of these chemicals upon your health, the health of your kids and the impact upon our environment when we wash them down the drain each day. We know that many of them bio accumulate and are persistent in both our body and the environment. Sure, no one wants mouldy, bacteria infested or rancid skincare products but there are safer and better alternatives to these chemicals available so we want to know why are they still being used? Are natural skincare products any better? So it’s pretty clear that natural skincare products are safer, but are they better for your skin? Can you achieve glowing, healthy, gorgeous skin with natural products? Yes, yes and yes. After specialising in natural and organic skincare for over 20 years, looooong before it become trendy and fashionable, and helping literally thousands of woman (and some men) find the best natural skincare to suit their skin we can say with great certainty that natural skincare products are truly better for your skin. If you’re looking for a skincare range that works with your skin to help it become its healthiest and most radiant self then choose natural skincare all the way. Safer and better. We stock a comprehensive range of organic and natural skincare products to suit every skin type and every budget. From deodorants and lip balm through to specialised serums and natural make up. If you’re not sure what product or range is best for you – get in contact with us, we’re only too happy to help.